Being in Livingstonia always has the weight of history. It is a historical place as it was the site where Dr. Robert Laws developed a mission station that introduced not only Christianity to the Ngoni people but also modern medicine (as it was modern in the 1880s), building and architectural innovations that must have seemed like magic for people who were living in caves at the time. I am seated in his church and it has the feeling of a cathedral. There is a stained glass window, tall windows and cut stone arch ways. 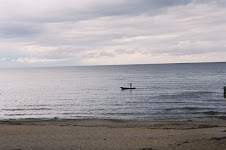 It is impressive for Malawi today, I can’t imagine what it looked like 100 years ago. The reason for my visit would be just as hard to imagine for the people of Dr. Laws time. I am here as a visitor to the Synod of Livingstonia which is the northern region of the Presbyterian Church in Malawi. There are 600,000 adult members and the churches of the synod are community centers offering not only worship, but public health, primary education, and opportunity for development as well as justice. You get a sense of what Jesus meant by the mustard seed. Laws cast some seeds that truly took hold. Yet the people who came after him, the Malawian pastors, elders, deacons (the churches) kept casting seeds. My day here began with a worship service that was unique. In a sense it was just like any worship service that opens a denominational meeting, but at this one the sermon was powerful. It was a call to be salt and light, but why we should be such was so much more than the usual sermons I hear at Presbyterian meetings where the preacher tries to give a lecture on good manners and professional conduct with Christian overtones. This morning I was told to be salt and light because this is how we will bring salvation to the world. From there though the meeting went down hill. At least in terms of an American perspective. There was formality after protocol after recognition. My thought was, this is too much of a cultural divide for me to span as I can barely handle a bit of this in the US. This went on for an hour. And then something great happened: people stood up and said, this is going on too long. We have to get to business or we will never get out of here. This was the first two hours of a weeklong meeting. It may be that cell phones and text messaging have had an immediate impact upon the Malawian pastors, or it may just be people truly had business and didn’t want to see it cast adrift by a spirit of minutia. Perhaps the real reason was the pastors were recognizing the significance of their meetings and what is at stake. 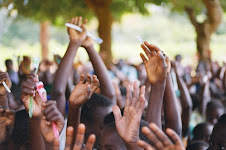 It is clear in Malawi that pastors are beginning to see their role and what may happen in their country in the next year as tantamount to its future. There is a feeling in the air that decisions here are not just church matters, but Malawian matters; there is a sense of momentum that now is a time of great importance. Its hard to tell if that is the impact of being in Livingstonia or just a lovely coincidence that a meeting of historical importance is happening here. Time will tell. Big meetings make me nervous. A few people around a table hashing things out is where my comfort level begins and ends. Get everybody together, you are likely to get a lot of foolishness and folks putting on airs. The Synod of Livingstonia has 600,000 adult members, a bunch of presbyteries, and more churches than you shake a stick at. So the idea that you get together all the ministers and vote on things they consider significant . . . well, its fair to say there might be some dry parts. I was there for two reasons. The first one was guilt. I was sick for the presbytery meeting and Rev. Hara was a bit embarrassed that his “associate pastor” was absent. So I told him I would be at the synod meeting for the big introduction day and I would drive. As none of the pastors have cars this was a big offer. I figured he would use this to his advantage and he did. There were six other passengers by the time we left Mzuzu and he was pleased as punch to be the one offering rides. The other reason was Rev. Nkhoma. I have spent a fair amount of time with him and he never disappoints. Perhaps I am just an easy sell for a man who knows a lot of history (and lived it) but it’s fair to say that being with him these two months as he ends his career in ministry was a rare and unique privilege. On the opening day of the Synod meeting (which lasts a week) Rev. Nkhoma was making his swan song, he was retiring officially and his replacement was to be voted in immediately. If that sounds a bit odd, the living out didn’t stray far from this mark. I’ve already described the events that led up to his time of farewell but let me just give a brief recap: a lot of posturing, minutia and wrangling, a good sermon, tea, and lunch. When he was finally given the floor people were ready for something good. He delivered. His speech was easily an hour long and was written out in single spaced pages that seemed to never end. (The moderator after it was over said, “that was a good speech, long, but good.”) It was long, but it needed to be to capture 20 years of being a leader of the synod. He literally started at the beginning and talked about the good the bad and the beneficial. There wasn’t a lot of ugly. The theme of his speech was a passage from Genesis where Jacob meets Esau while returning home and says, I crossed this river with just a staff and now I am returning with two companies. Rev. Nkhoma tried to make clear that he felt as if his experience these last 20 years has left him like Jacob, amazed by the blessing he received. His speech often felt like a catalogue of blessings. As he spoke I kept waiting for him to mention Chivumu and he never did. He started to wrap it up and I felt a little sad. This as “our” project and after listing all the rest this one was conspicuous for by its absence. And then he said, “now I can depart. I have a full primary school in my home village.” Last line . . . I got choked up. This was one big meeting I am was glad not to miss. I’ve had four bottles of maple syrup sitting on our counter for a month. They were supposed to be for the ambassador, but we forgot them when we went to apply for Ruth’s visa. My intention was to say thanks for helping with the choir last year. It was a good intention that just didn’t seem to happen. This morning, with the french toast, I let the kids open one as we were out of powdered sugar. Well, I thought, three is just as good as four, kind of. Part of my willingness to share was that I had already made the decision of offering them with a letter explaining our intentions with Ruth to the consular instead of the ambassador. The consular, the assistant consular that is, dealt with her visa application and went out of his way to help, even staying later than the office is supposed to be open. I’ve described my exchange with him and how happy we were at the outcome in an earlier blog. We asked for twenty four months knowing it was a kind of wish dream and were told that such a request was actually against the law, as the visa can only be a year. That we would be given a valid visa for Ruth to come to the US was more than enough no matter the length I told him. Today Grace dropped off Ruth’s visa. Sam’s dad was in Lilongwe and we finally got the I-20 to the consulate so they could “seal” it. Part of the visa process is that there are no clear descriptions of the rules or requirements. It often feels like a hazing process and to some extent it is. So when Kathy said she had her visa in hand I kind of shrugged it off. But then she said, “I knew it. Someone wrote 24 months on the I-20 and I wondered if that meant the visa would be for 24 months.” I looked at her visa and sure enough it was valid until July 22 of 2010. I just stared at it in unbelief. I am still a bit in shock. A two-year visa. That changes so many things. First it saves almost $5,000 a year. Most important though we would rather bring Grace here to visit Ruth than fly Ruth out, and then struggle to get here back going through the whole visa process each year. With a two year visa we’ve been given a much different process. If by some chance we can renew this visa in the states then Ruth can visit Malawi in the next four years when it works best not when the paperwork needs to be filed. I’ve pretty sure I will not let the kids open another bottle of maple syrup. The assistant consular who assured me he couldn’t give a two year visa and then provided one is worthy of a little thanks. I just hope he likes pancakes. It has been our pleasure to host many trips abroad. More than a dozen trips to Mexico to build houses, hurricane relief in Mississippi, and now to Africa. In the last two years we have enjoyed expanding our mission trips to include pilgrimages. This will be our third such trip together and we find it to be such a blessing. A pilgrimage is part study, part devotion, and part travel. As you prepare for the March trip be sure to be in worship and study. The more you prepare the greater the reward. Being in Israel is being immersed in history and the Bible. The places and sights can be a like rushing water. Be sure you spend some time in reflection and prayer so you are ready for the current.